Smaller riders need smaller shapes, right? Seems obvious, but try to find an 8-6 modern longboard (not a funboard or an egg!) at a surf shop and you’ll immediately see the benefit of ordering a custom board. 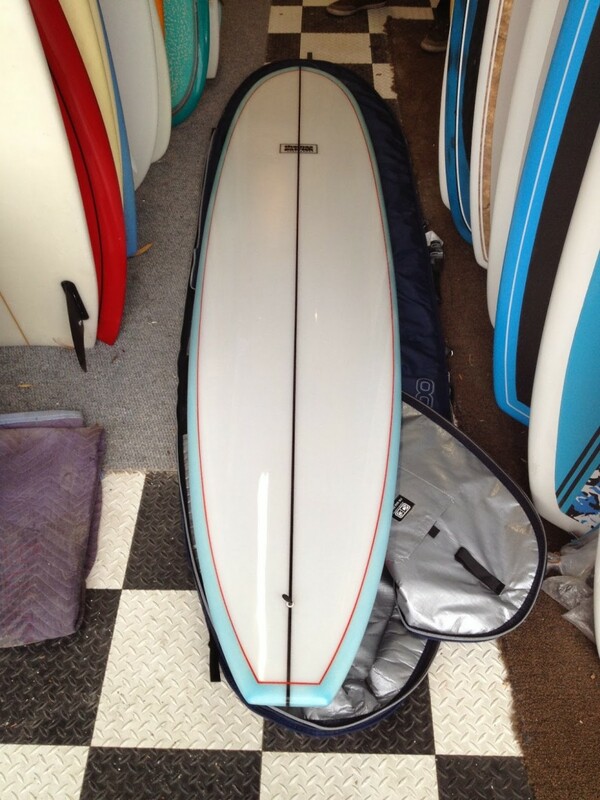 Case in point is the this 8’6″ Mini-Nova that Marcia ordered. A petite young woman by anyone’s description, Marcia wanted a modern longboard shape that she could actually get her arm around. The Mini-Nova has the same outline and bottom contours as the Nova, but is scaled down in width and thickness to match the height and weight of its intended rider. In Marcia’s case, this was 8’6″ x 22″ x 2-7/8″. And because Marcia wanted maximum versatility, she chose a 2+1 fin configuration.